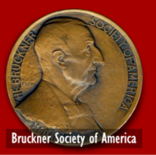 The Bruckner Society of America was the successful bidder for a marked up conductor's score of Bruckner's Symphony No. 6 that was once owned by conductor, Robert Heger. The Society is in the process of having the score scanned in order that researchers and Society members will have access to Heger's markings. BRUCKNER, Anton 1824-1896. Samtliche Werke 6. Band VI. Symphonie A-Dur (Originalfassung) Vorgelegt von Robert Haas Partitur-Sonderausgabe. [Full score]. Wien: Musikwissenschaftlicher Verlag ... der Internationalen Bruckner-Gesellschaft, . Folio. Black cloth with titling to upper. [i] (blank), [i] (series title), [i] (title), [i] (credits to Siegmund von Hausegger and Elsa Kruger and copyright notice), [i] (secondary title), [i] (blank), 3-140 pp. From the collection of the German conductor and composer Robert Heger, with his signature in blue ink to upper right corner of title. Extensively marked up in pencil, blue pencil and red crayon by Heger, with textual notes in pencil, in German, to credits/copyright page relative to timing: "Dauer I. Satz Maestoso 13' II. [Satz] Adagio 14' III. [Satz] Scherzo 6' IV. [Satz] Finale 12' [Total] 45'" and with a textual quotation from Ernst Decsey on the present symphony to lower portion of secondary title. First scholarly edition. Grasberger 106. As is the case with early editions of Bruckner's symphonies, the first edition (published posthumously by Doblinger in 1899) introduces a number of changes not originating with Bruckner; their extent, however, in not as large as in those of other Bruckner symphonies. Heger (1886-1977) studied in Strasbourg with Franz Stockhausen (1900-02) and in Munich with Schillings (1907-08). His career included posts at the Staatsoper in Munich, Vienna and Berlin. "[His] reputation as a conductor, enhanced by his numerous appearances at Covent Garden (between 1925 and 1935, and in 1953 for the Bavarian premiere of Strauss's Capriccio with the Staatsoper) and by his famous abridged commercial recording of Der Rosenkavalier with Lotte Lehmann and Elisabeth Schumann, has tended to overshadow his achievements as a composer. In general he followed the late Romantic traditions of Strauss, Reger and Pfitzner without achieving any distinctive originality. Nonetheless, he wrote extremely effectively for orchestra, and such works as the Verdi-Variationen (1933) featured in concert programmes during the 1930s. 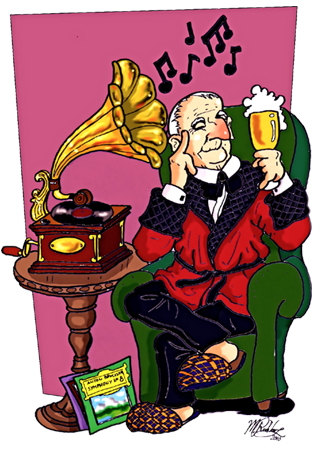 1/ Erik Levi in Grove Music Online. Heger's markup reflects his comparison of the present edition with the first edition of the symphony. 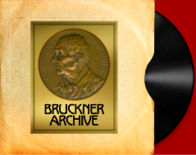 The manuscript quotation to the secondary title credited to Ernst Decsey (J 870-1941) is from his book entitled Bruckner: Versuch eines Lebens (Berlin: Schuster & Loffler, ). Heger copied the same text, albeit with an omission, into his copy of the first edition as well. Apart from the unfinished Ninth, the Sixth was the only one of Bruckner's numbered symphonies that did not receive a complete performance in the composer's lifetime; only the two middle movements were heard in a concert of the Vienna Philharmonic under Wilhelm Jahn on February 11, 1883. The first performance of all four movements, albeit with cuts, took place with the same orchestra under Gustav Mahler on February 26, 1899. Wilhelm Pohlig's Stuttgart performance on March 14, 1901, was the first complete one.